I found interesting topic. 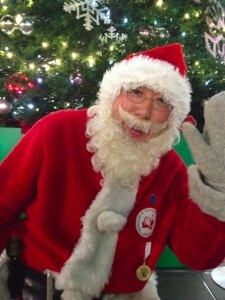 A Japanese guy becomes a official Santa Claus. 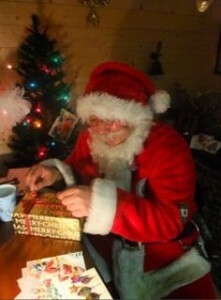 He passed Santa Claus examination in Denmark. It’s authorised by the Greenland international Santa Claus association. Seriously, wondering what is this exam? and how he can be a Santa Claus. So researching a information of this exam!! 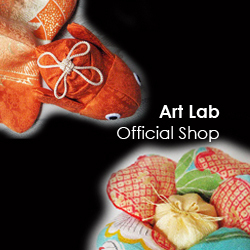 ③having a experience to do activity as a Santa Claus. After passing documents examination, getting back documents about next exam by the association. The exam is already starting when candidates is leaving home. the location of second exam is at an amusement park of Denmark Copenhagen. All candidates must wear Santa Clause costume from their home to the place. So inside of any of transportation, bus, airplane, train or taxi, they should keep were the costume. After arriving Copenhagen airport, they should adjust clothes and wave their nation flag with smiling face. Second exam is a physical fitness test. 50m race to going to house. climbing up a 2.8m radder to the house roof, going into the chimney and get out chimney from fire place. putting present under the Christmas tree. Eating and drinking all 6 piece of cookies and 568ml milk on the next to fireplace. Going back into a fireplace and going up to chimney again. They should wave their nation flag and running back 50m to the goal as soon as possible. It must be completed in two minutes. Thinking a bout this point, their weight are around 120kg so it should be so hard for them. Only two of fastest candidates can go to next stage. The last exam is a interview with head Santa Claus. 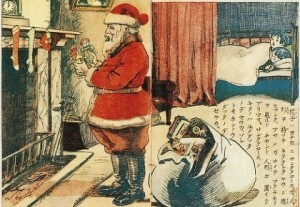 Introducing themselves to interviewer, head Santa Claus, in English or Denmark language. It’s really unique exam and seems so hard to become a Santa! The Kadomatsu Displayed as the Mark as Welcome to God.